Breakfast in the Hotel. 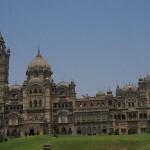 Check Out at 11 Am and later our company executive will take you to visit the famous Akshardham Temple. 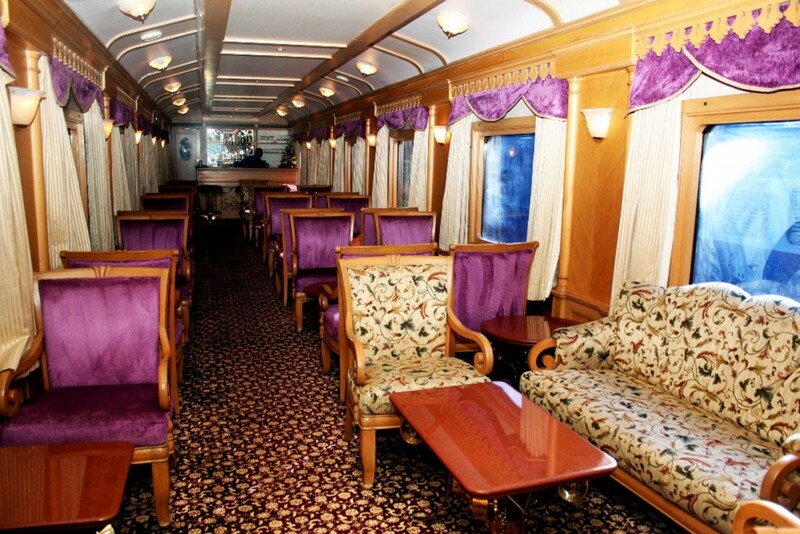 After the visit you are taken to the Railway Station to Board Train Indian Odyssey. 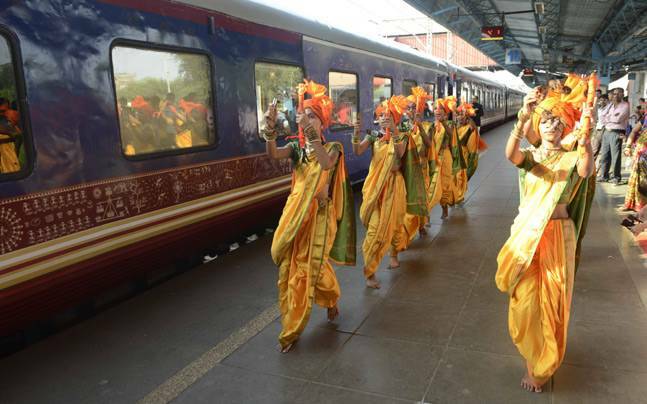 This evening assemble at the railway station at approximately 1830 hours to complete the registration process and check informalities for your Indian Odyssey journey, as you receive a traditional Indian welcome and enjoy a refreshing welcome drink. 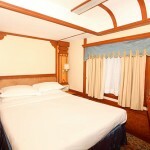 After completion of all formalities, you will be shown to your delightful cabins. 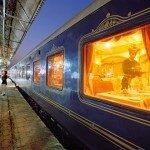 As you settle in, the Indian Odyssey shall depart Delhi for Sawai Madhopur. 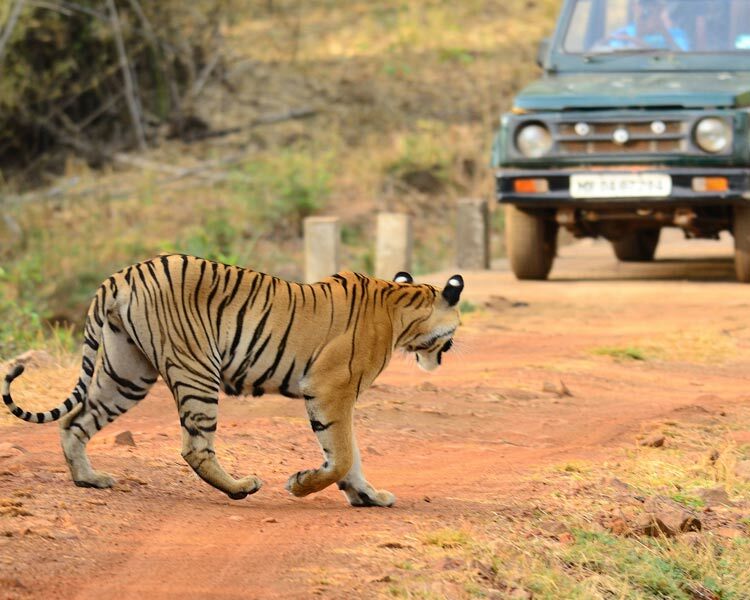 Sawai Madhopur in Rajasthan is the alighting point for the famous Ranthambore National Park, and India’s efforts to conservethe dwindling tiger population can be seen here. 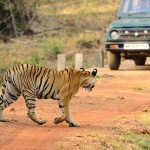 The park is one of the finest tiger reserves in the country and the most likelyplace to spot one of these majestic animals.Enjoy an early morning breakfast before you set out for your morning game drive Ranthambore is home to several other species as well; you can see herds of Chital and Sambhar deer as well as wild boar, Nilgai antelope and chinkara gazelles. 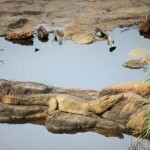 There are also sloth bear, a few leopards and crocodiles. Extensive bird life includes jungle fowl, partridges, quails, the crested serpent eagle, woodpeckers, flycatchers etc. 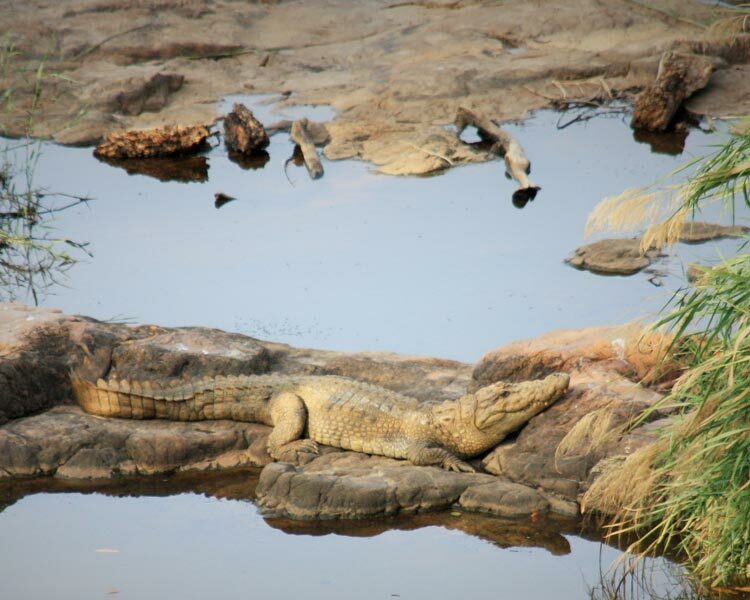 There are also water birds like storks, ducks and geese lazily in the sun, or feverishly hunting at the lakes and waterholes. If it’s your lucky day, you could spot a tiger lolling around down deer around the lakes! When you’re done with the jungle, return to the comfort of the Indian Odyssey. Feel free to share the spoils (of your photo-shoots!) 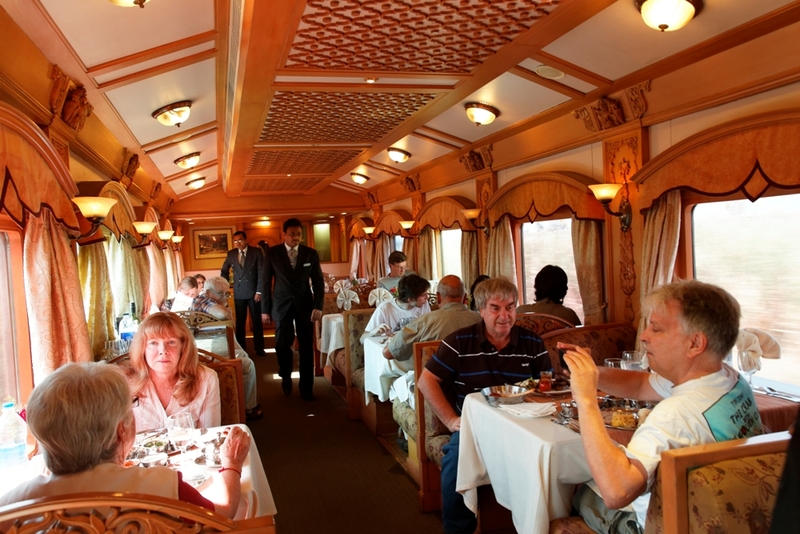 over a leisurely lunch before you set out for a village safari. 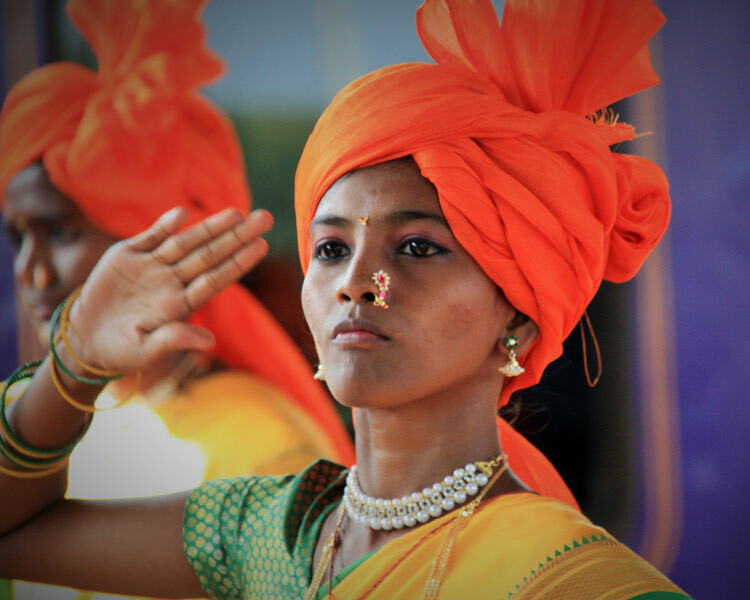 The people of Rajasthan’s villages are mostly tribals who subsist on farming and hunting. These friendly folk are warm and welcoming, happy to show guests around their villages, giving deep insights into their daily lives. The women here wear bright colours to offset the drab desert, and most people live in mud huts. Visit a local home for a and interact with the family. After a fulfilling afternoon, proceed for high tea at the Sawai Madhopur Lodge, the former hunting lodge of the erstwhile royal family of Jaipur. 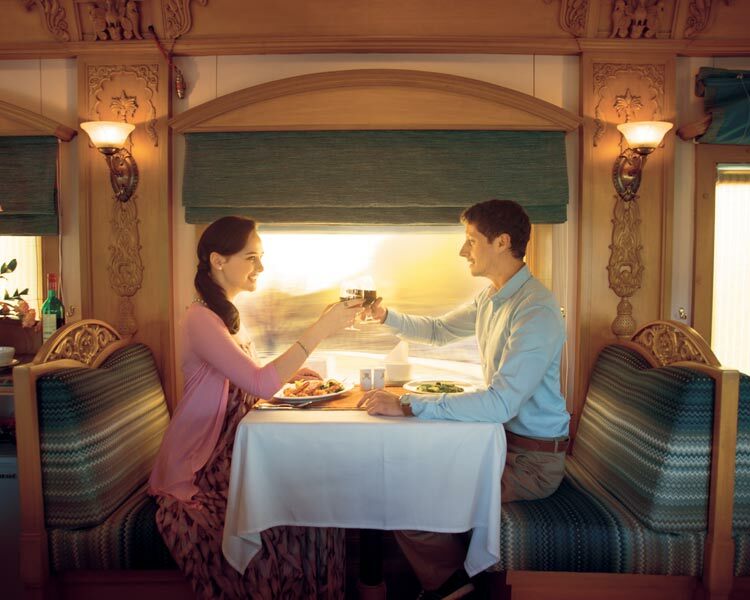 After high tea, it is time to head back to the Indian Odyssey where you can relax with a drink before dinner on board, as the Indian Odyssey sets off for Agra, the city of the world famous “Taj Mahal”. 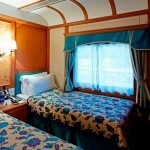 Overnight Stay in Indian Odyssey. 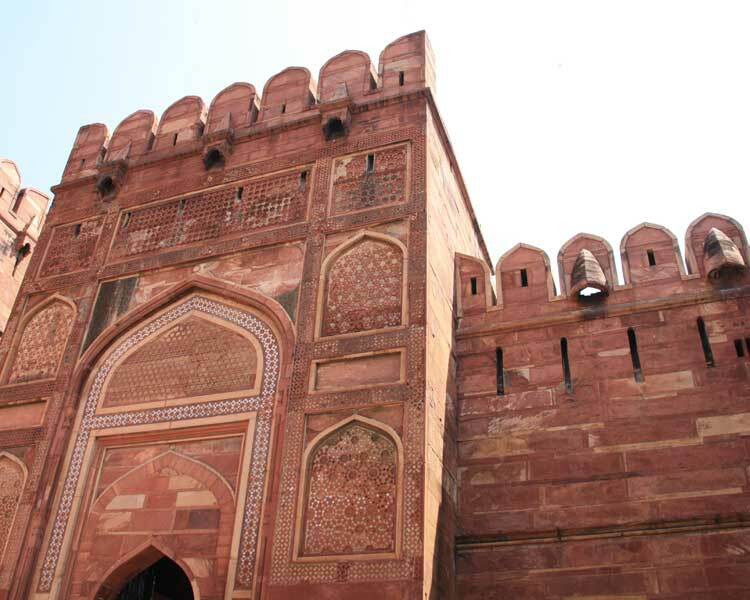 Arriving at Agra, you will realize that the Mughals were not just the greatest dynasty to rule India but also its greatest builders. 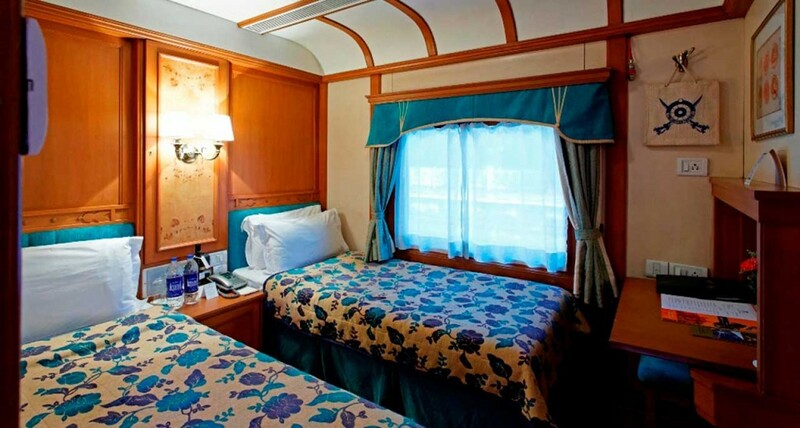 After a leisurely breakfast on board, you will visit the Taj Mahal, which was Emperor Shah Jahan’s gift of love to his beloved wife, Mumtaz Mahal, and is truly the world’s most wondrous monument. The making of the Taj Mahal is as much a fable as theedifice itself. It took 20000 men 22 years to build this unrivaled mausoleum and its exquisite white marble was brought from 200 miles away by caravans of elephants and camels. Lunch at a City Hotel. After lunch, your tour of Agra continues as you visit Itmad-ud-Daulah, a marble mausoleum built by Nur Jahan, the wife of Emperor Jahangir, in memory of her father, Ghiyas Beg. 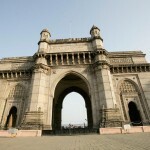 Sometimes called the ‘Baby Taj’, it is beautifully conceived in white marble, mosaic and lattice. 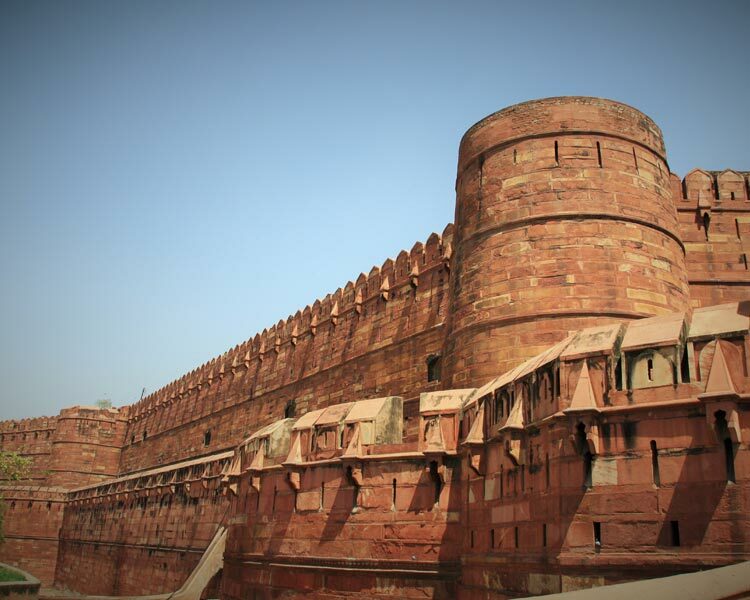 Thereafter proceed to Agra Fort, another outstanding example of Mughal architecture, and the seat of Mughal reign and administration for three generations. 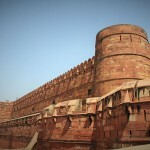 The present structure owes its origins to Emperor Akbar who had its first buildings of red sandstone erected on the eastern bank of the river Yamuna. His grandson Shah Jahan, the most artistic and prolific builder of the dynasty, later added the impressive marbled private quarters and the mosque while Aurangzeb added the outer ramparts. 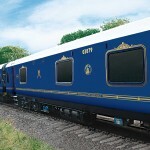 A visit to the Diwan-e-Am, ‘Hall of Public Audience’ and the Royal Pavilions is not to be missed. Later, you have the opportunity to visit the local markets to admire the exquisite Pietra Dura (marble inlay) artefacts and Mughal ornaments OR as an optional activity you may avail of spa facilities at a hotel before completing your tour of this historical city. 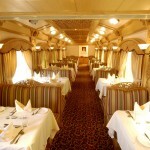 Late evening, you return to the Indian Odyssey for dinner and your onward journey to Jaipur, The Pink City. 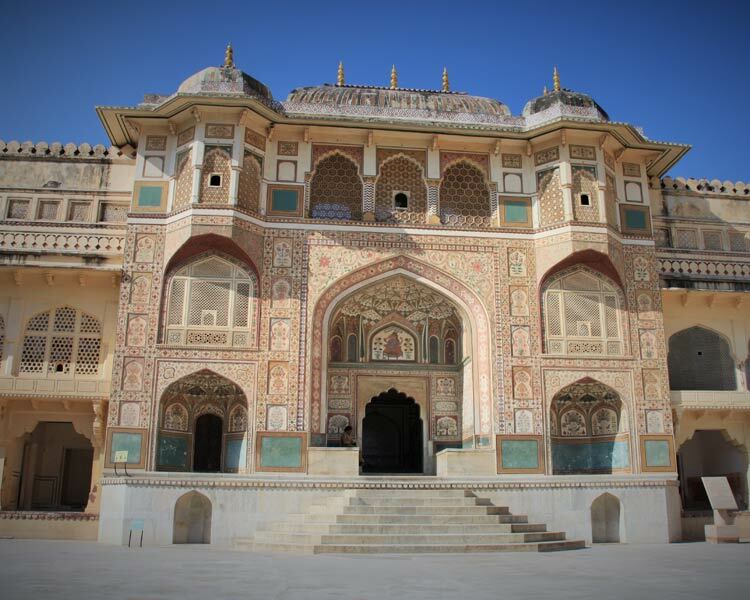 Legendary for the triumphs of its proud Rajputs, Jaipur, the City of Victory, is surrounded by the rugged Aravali hills – crownedby formidable forts – and beautiful palaces, mansions and gardens. 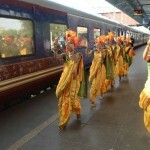 Royal processions and parades, in all their splendour, gracedthese palaces and forts once. 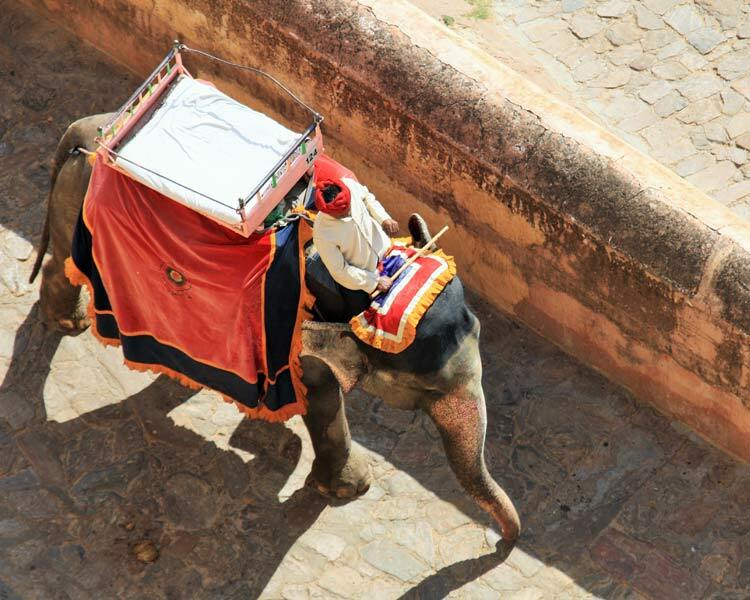 The city is a colourful oasis in the desert and you will notice a timeless quality to Jaipur’s bazaars andits people. After breakfast you drive to Maharaja Mansingh’s 17th century masterpiece, the Amber Fort that overlooks the beautiful Maota Lake. The fort is a sprawling complex of courtyards, halls and rooms adorned with beautiful paintings, precious stones and mirrors. Behold the Sheesh Mahal, ‘Hall of Mirrors’, where a single lamplight reflects in many mirrors, and lights up the entire room, creating a dazzling effect. 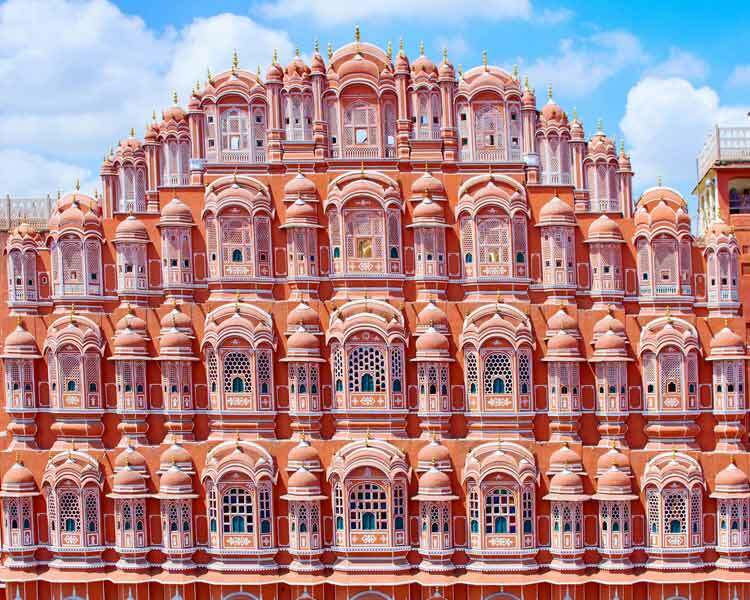 En-route to Amber Fort visit the Palace of Winds, otherwise known as the Hawa Mahal, famous for its intricate pink sandstone carving and a beautiful view of the city. 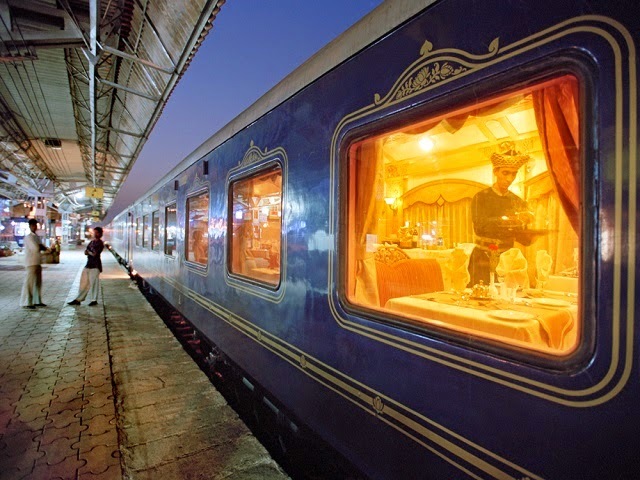 Thereafter you will visit the famous City Palace of Jaipur, an overwhelming complex of exquisite palaces, gardens and courtyards, decorative art and carved doorways. 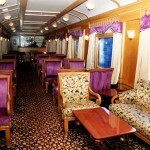 The palace museum houses collections of rare manuscripts, armoury, costumes and carpets. Walk across to the adjacent Jantar Mantar, the astronomical observatory built in the 18th century by Sawai Jai Singh. A wondrous achievement for its time the observatory gives accurate readings even to this day. Lunch at a City hotel. Following lunch you may choose to participate in one of the optional tours. ->Enjoy spa facilities at a palace hotel OR have the opportunity to explore the colorful bazaars of the Pink City which offer a wide range of ethnic handicrafts produced in the city- centre and its outskirts. 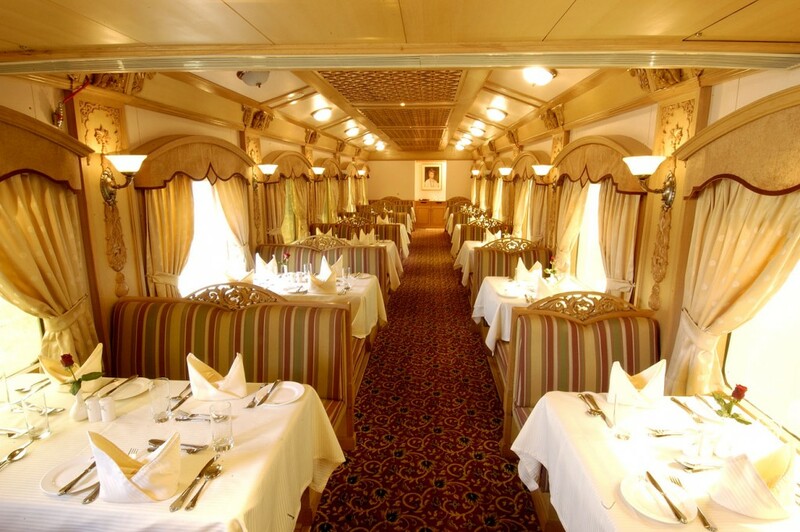 After your full day of delving in the royal past of Jaipur you will return to the Indian Odyssey for dinner on board as it departs for Udaipur. balconies, and cupolas, which also houses the spectacular Crystal Gallery. 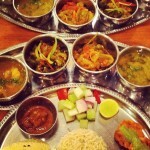 After lunch, return to Indian Odyssey for a short rest. 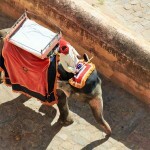 Later embark on a Walking Tour through the Old City of Udaipur. 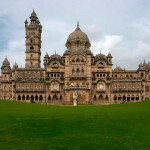 Today you arrive at the capital of the Gaekwads, Vadodara, located along the seasonal river Vishwamitri. 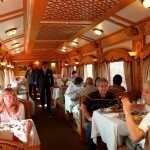 Breakfast over, you will disembark and proceed to visit Champaner-Pavagadh Archaeological Park, a UNESCO World Heritagesite and the only complete and unchanged pre-Mughal Islamic city in India. This concentration of largely unexcavated archaeological, historic and living cultural heritage properties is cradled in an impressive landscape. Marvel at the Jami Masjid (Great Mosque ) built in 1513 representing a perfect blend of Hindu and Muslim architecture which was a model for later mosque architecture in India. 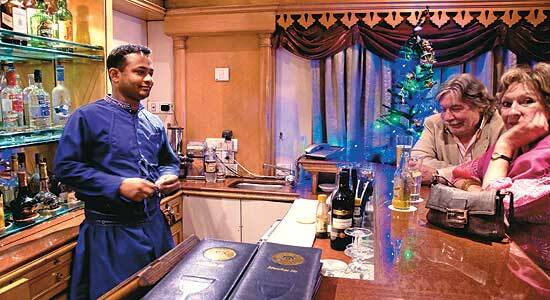 Drive back to Vadodara for a leisurely lunch on board the Indian Odyssey. 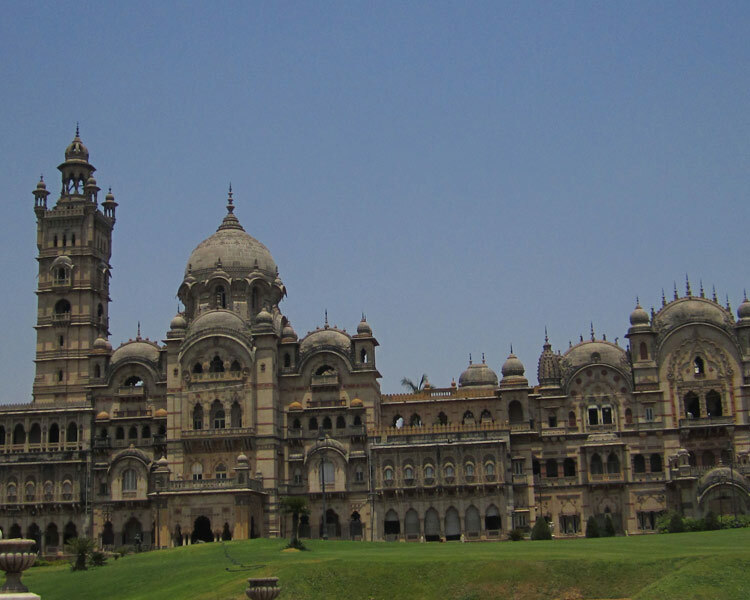 After lunch, you will visit the Maharaja Fateh Singh Museum, originally constructed as a school for the Maharaja’s children. 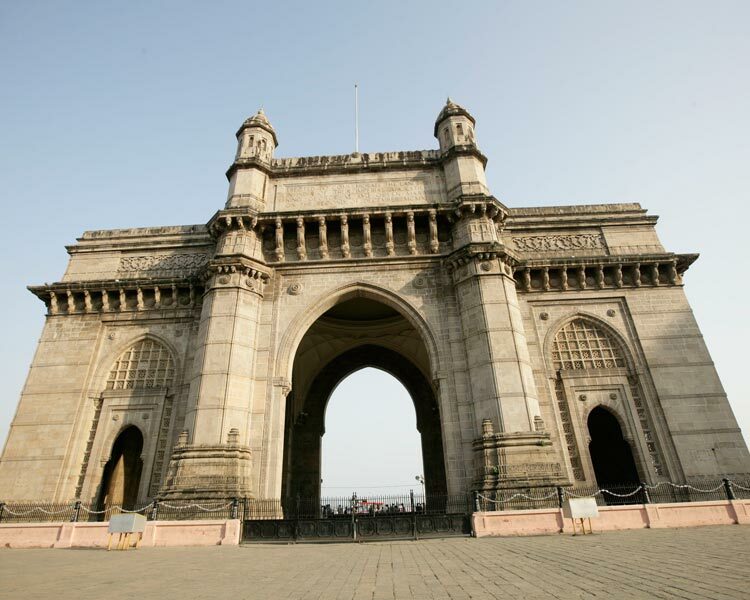 Today, art lovers can view a large number of works of art displayed in the museum including a collection of the paintings of Raja Ravi Varma and other renowned European Masters as well as a collection of sculptures in marble and bronze. 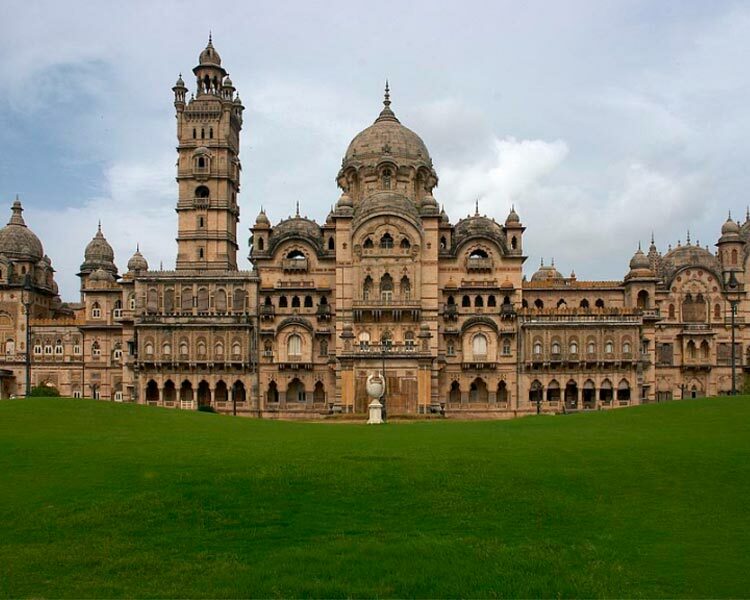 Enjoy high tea at the resplendent Laxmi Vilas Palace, built in 1890, and the residence of the Royal family even today. Reputedly four times the size of Buckingham Palace, its overwhelming Durbar Hall boasts a Venetian mosaic floor, Belgian stained glass windows and walls with intricate mosaic decorations. The palace also houses a remarkable collection of old armoury and sculptures in bronze, marble & terracotta by Fellici. 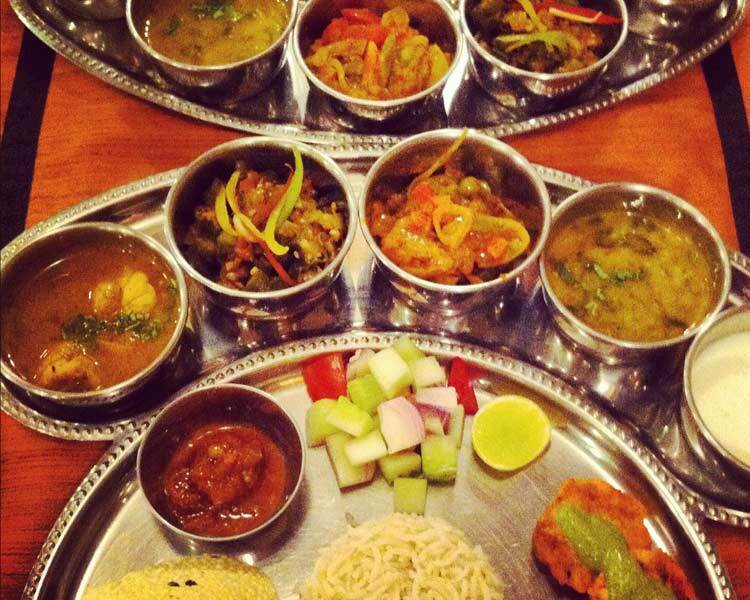 Witness a folk performance typical of the region as you savour some of the special delicacies from the Royal kitchens. 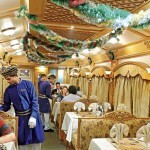 Return to the Indian Odyssey for dinner as it pulls out for Aurangabad. 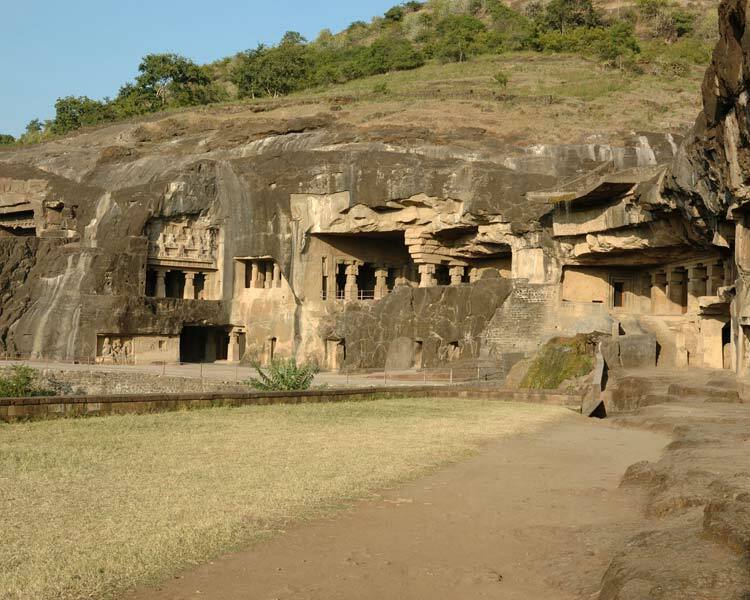 Aurangabad, named after the last Great Mughal Aurangzeb, is an industrial town in Maharashtra and the stop from where tohead out to visit the exceptional Ellora Caves, a World Heritage site. 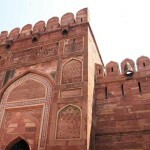 The city itself has deep Mughal influences and there areseveral monuments of note here; the Daulatabad Fort, Bibi-ka-Makbara and the city’s 52 gates, each with its own history, amongst them. 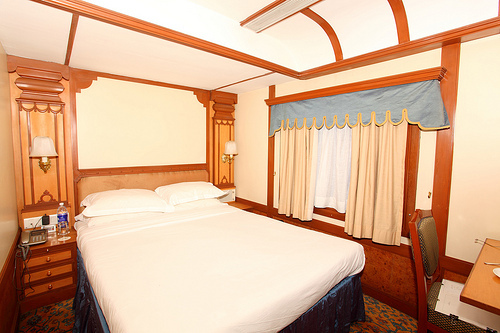 Today brings a late start, leaving the morning free for you to enjoy a languid breakfast and enjoy some of the activities available on board. 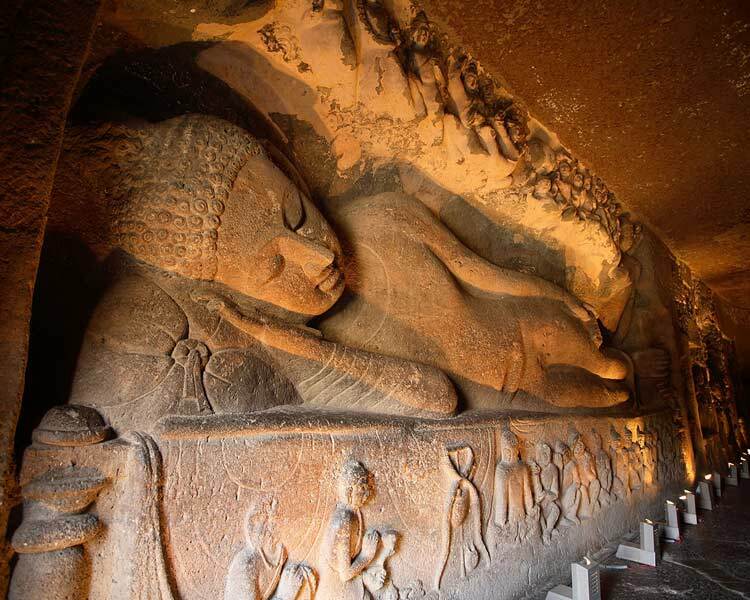 Later, as you savour lunch, the Indian Odyssey arrives at Aurangabad, from where a scenic drive takes you to the Ellora Caves, carved into the side of a basaltic hill 30 km from the city. 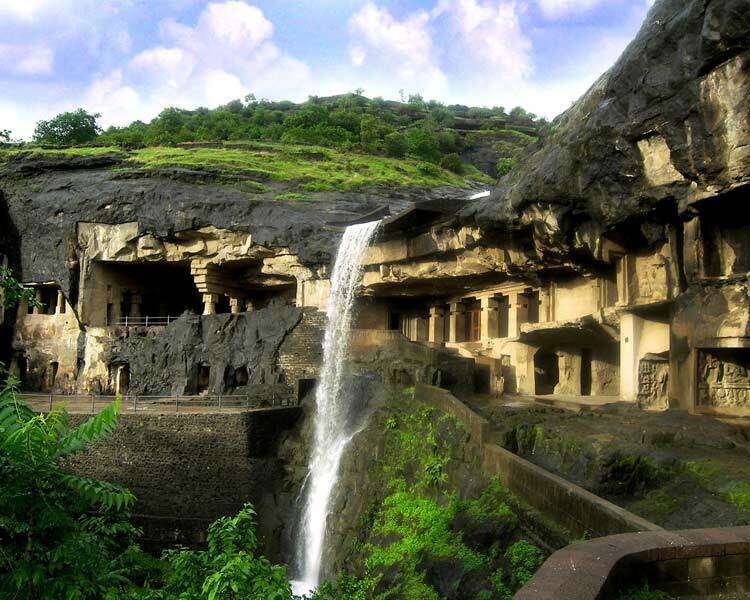 The finest specimen of cave-temple architecture in India, the site encompasses 34 rock-cut shrines representing Buddhist, Jain and Hindu art dating from the 4th to 5th century AD. 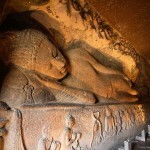 The 12 caves to the south are Buddhist, the 17 in the centre Hindu, and the 5 caves to the north are Jain. 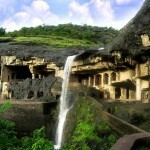 The most remarkable is the Kailash temple, meant to be a replica of Shiva’s celestial abode on Mt. Kailash. 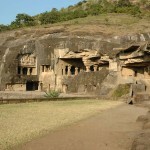 It is the best example of rock cut architecture and an engineering marvel. 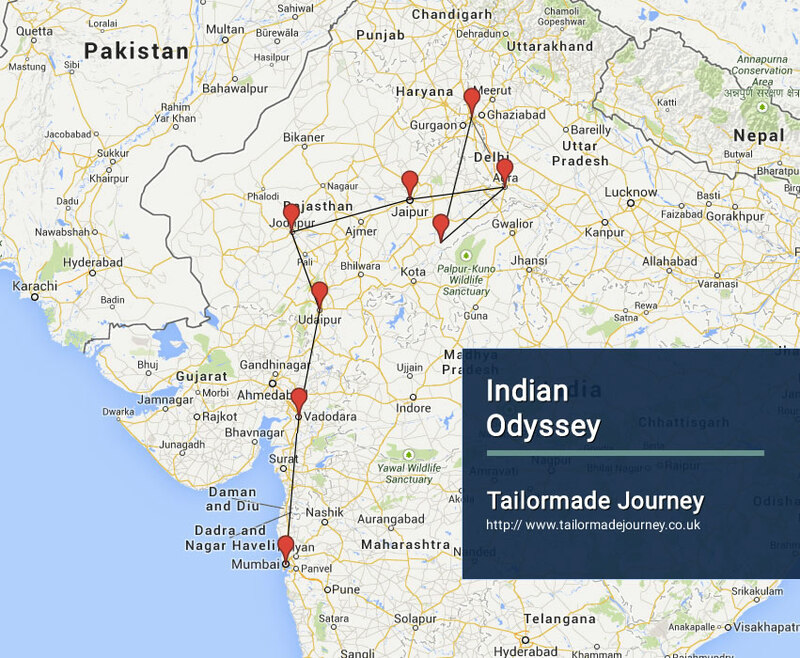 After exploring Ellora, return to the Indian Odyssey. 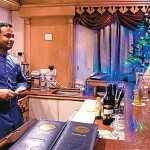 This evening relax with a sun downer at the Mumbai-Hi before dinner is served. 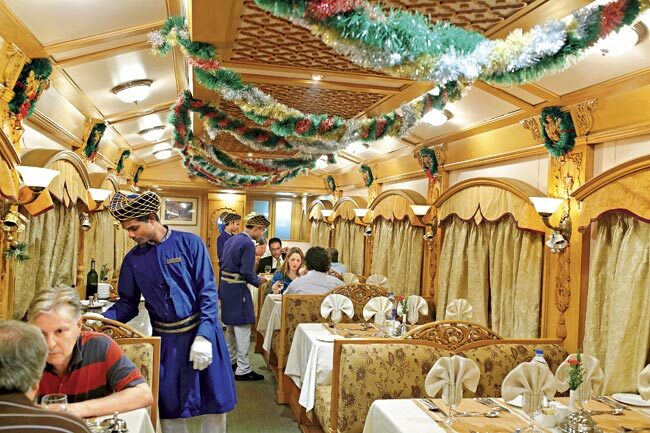 Breakfast on board Early this morning, after breakfast, you will disembark at Chhatrapati Shivaji Terminus Railway Station, Mumbai. 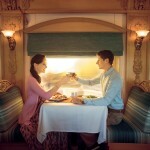 Bid farewell to the Indian Odyssey as your royal passage through the grand vistas of India comes to an end. 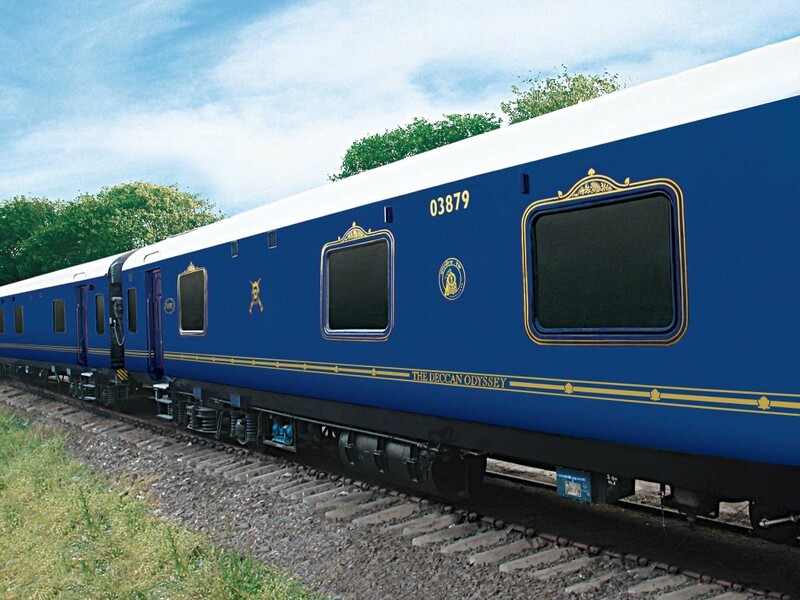 (End of Train Journey) Our Executive will pick you from Chhatrapati Shivaji Terminus Railway Station and will transfer you in private Car to your pre booked Hotel.